We are a Delaware web design company. We design websites, write web applications and totally kill it at search engine optimization. So, basically we can build the site you’ve been fantasizing about, and we’ll get search engines to notice it when we’re done. Anyone can build you a website. We build websites that rank well on the search engines, look great and convert leads into buyers. You see, most blokes, you know, will be playing at ten. It’s one louder, isn’t it? 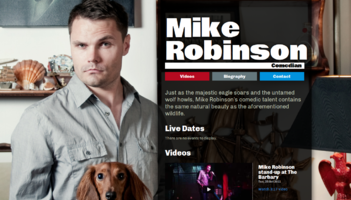 Why does your competitor’s website rank so much better than yours? We have answers. It sounds impossible, but we offer SEO for $199. Before you purchase a website from another vendor ask them how well it will rank on the search engines. Do they use search engine friendly design? There is no use spending money on a website if it does not bring you traffic. We don’t want to give away too many of our secrets but if a site does not have RSS, sitemaps, blogging, social networking and video integration there is little chance it will perform well in the coming years. 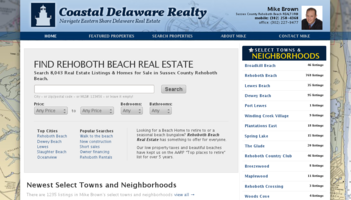 We do Rehobth Beach Web Design. In case you didn’t notice, this page was about "Delaware website design". Thank you.